The results of an entirely unscientific survey reported Japanese competitive freediver Sayuri Kinoshita to be the athlete most freedivers would like to be. Jokes aside, recent years have seen an incredible upsurge in great women freedivers, and Sayuri is one of the top contenders, having broken world records in two of the depth disciplines, several national records (for a nation with some of the best female freedivers in the world), and is a frequent medal winner in the highest level international competitions. More than this though, Sayuri is known for being the most enthusiastic and encouraging cheerleader to her fellow athletes, even ‘rivals’, during competitions, and as someone who clearly enjoys every single dive she makes. The daughter of swimming instructors, and a swim teacher herself, Sayuri has been in the water since she was a baby. 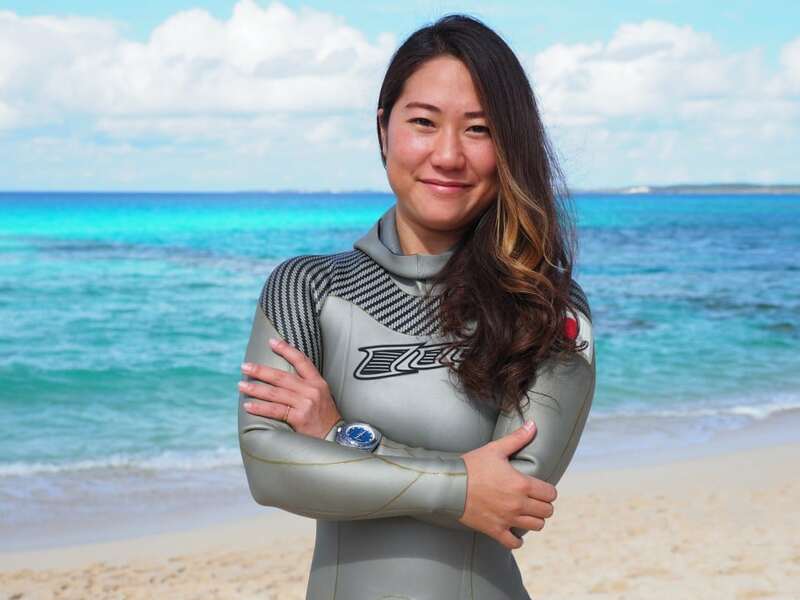 Born in 1988 in Nagasaki (Japan), she had her first freediving experience with now close friend Hanako Hirose (also a world record-breaking freediver) at the age of 25 and found a different joy to that which she had experienced in her lifetime as a swimmer. 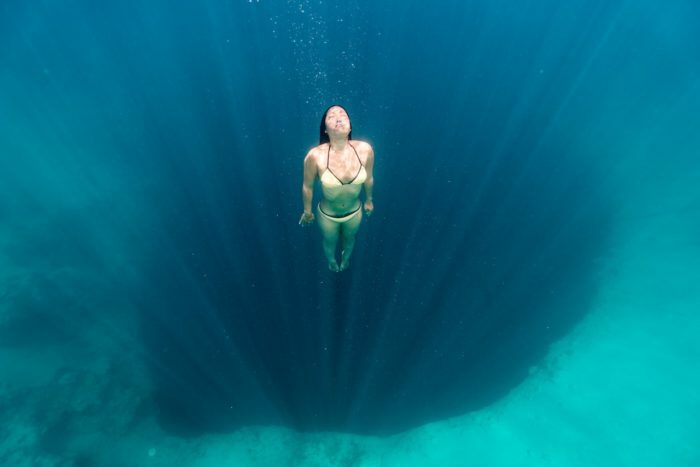 She has described the feeling she gets from freediving, “as if you have dissolved into the water and become one with the sea”. This first experience with Hanako was doing Static (breathhold, while floating stationary) in 2013, in a pool. 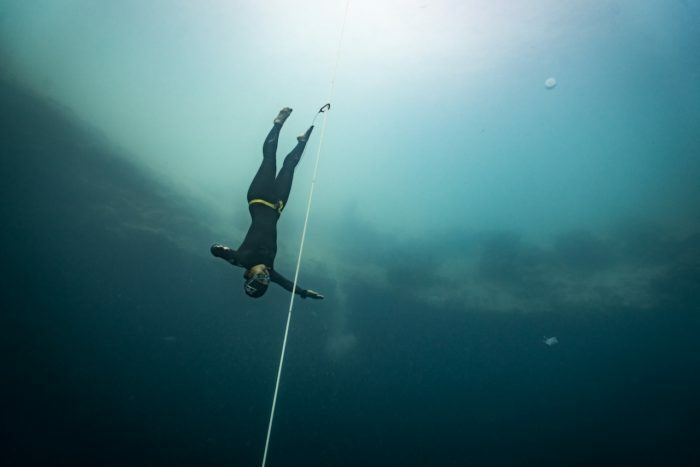 Since it was winter in Japan at that time, she didn’t try freediving at depth until October of that year, this time with ex-competitive athlete Ryuzo Shinomiya, one of the first men to ever pass the 100m mark in constant weight. By this time, Kinoshita had already competed in the pool World Championships in Serbia! 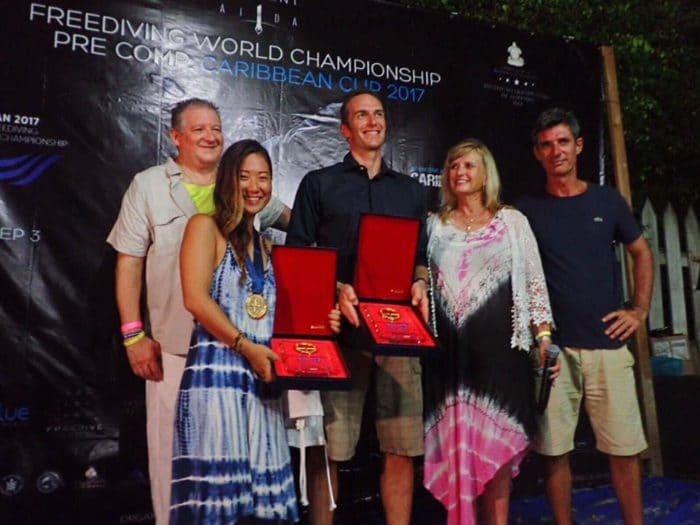 A year later, in 2014, accompanied by Ryuzo and Hanako, Sayuri competed at elite freediving competition Vertical Blue in the Bahamas. She broke two national records: 58m Constant Weight No-Fins (CNF), which also won her a gold medal in this discipline; and 68m Free Immersion (FIM) giving her a bronze medal. Plus, she achieved a silver medal overall. After this blazing start to her competitive career, at the highest-level competition in freediving, Kinoshita went on to win gold overall at Vertical Blue in 2015 (60m CNF gold, 80m CWT joint-bronze, 80m FIM joint-gold).  But it was Vertical Blue 2016 where Sayuri shot to freediving fame by breaking the CNF World Record, to at depth of 72m, and being the first athlete to break any of the long-standing records held by the late Russian freediver, Natalia Molchanova. Vertical Blue 2018 saw Kinoshita break, not once but twice, another world record, this time in Free Immersion. In an exciting rivalry with Italian freediver Alessia Zecchini, which saw the record pass back and forth between the two divers during the 9-day competition in the Bahamas, the FIM WR was first broken when Alessia took it to 93m. Sayuri then made a dive to 94m, Alessia responded with 96m, and finally, on the last day of the competition, Sayuri made a clean and easy 97m. 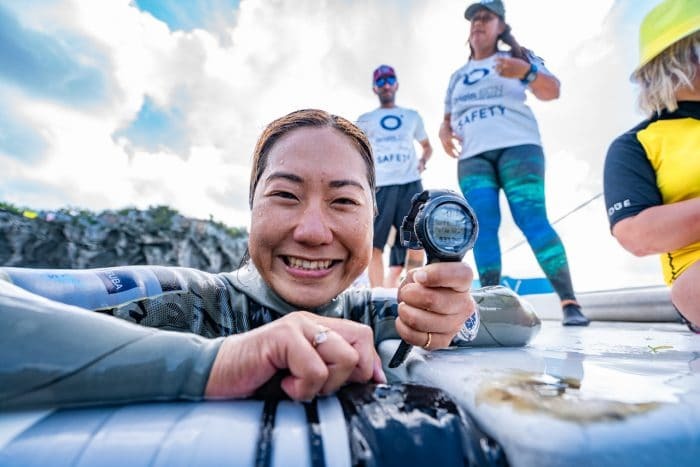 At this competition, Kinoshita also made her first Constant Weight (CWT) dive to 100m, making her only the 6th female freediver to reach that depth in competition. Competitively, 2018 was a big year for Kinoshita, competing in the Pan Pacific pool competition in Chiba Japan in spring, followed by her huge achievements in the Bahamas in July. She won two silver medals at Alexey Molchanov’s inaugural Molchanova Grand Prix held in Ibiza in honor of his mother Natalia; two silvers and a bronze medal at the CMAS World Championships held in Turkey in October; and the overall prize at the Blue Element competition in Dominica in November. At this competition, Kinoshita also won the Alchemy Bi-Fins challenge – Sayuri’s first attempt at bi-fins in competition – with a dive to 83m, just 6 meters away from the CMAS world record in that discipline, broken a month earlier by Natalia Zharkova. Having moved to Okinawa, where the sea is beautiful and the conditions are perfect for freediving training, Kinoshita teaches there in summer with friend Hirose and teaches and trains in the Philippines in winter. So what is the secret to Sayuri’s success? Regarding training and preparation, Kinoshita describes herself as ‘lazy’, doing only some pool swimming in addition to her depth training. Could it be the special Japanese food she has for breakfast? Is it the technical background she has in swimming? Is it due to having had incredible competitive freedivers Hanako Hirose and Ryuzo Shinomiya as her first mentors? Or perhaps her coach Stefan Randig of Freedive Panglao, where she trains during winter months? Or could it be that she makes it a priority to enjoy every second of all of her dives, and her desire to share this enjoyment with others? 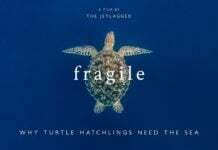 Read on to find out what Sayuri shared with DeeperBlue.com. Sayuri Kinoshita: I love the feeling of being underwater. The changing unknown world is the most exciting thing for me. SK: There are so many freedivers who I like! I like the way to approach the depth of Alenka [Artnik, Slovenian freediver]. Her mind and personality are lovely!! 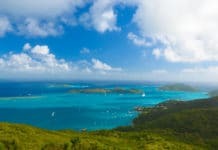 SK: Roatan, Okinawa, and Deans Blue Hole! The sea in Roatan is warm and clear. In Deans Blue Hole, the darkness takes a long time to get used to. SK: The Cenotes in Mexico. SK: To learn from a freediver or instructor who you like or respect. SK: Not much – I’m lazy! Sometimes I do stretching. SK: I don’t have any routines. I eat something if I want to eat but normally miso soup and pickled plum (umeboshi). I have tea in the morning to warm my body. SK: I like to eat local and seasonal foods wherever I am. I eat many vegetables, and not much meat, and I enjoy beans and lentils. SK: To be honest with yourself and enjoy the moment. SK: To still enjoy my life with whatever I love to do (I don’t know it would be freediving or not). I want to keep enjoying competitions, improve records and continue teaching. SK: My 97m FIM dive in July 2018. SK: Constant Weight No-Fins (CNF) 72m in 2016 – I was really concentrating and was strong-minded. It was the strongest dive in my life!